I have been thinking lately about why prefabrication and modular construction (“off-site construction”) has not caught on more within the construction industry. There are numerous benefits: cost savings, waste reduction, and improved efficiency to name a few. More specifically, Sue Klawans, Gilbane’s director of operations excellence and planning said that “On major projects, at least 35% should be off-site or prefabricated…” yet only 3-5% of most construction projects are off-site. First, planning. Review the overall plan. Are there are components that are repeatable such as bathrooms or wall panels? Hospitality, industrial, healthcare and housing industries, for example, typically have such components, and they can be manufactured off-site. These industries have seen significant benefits from such a strategy. Second, suppliers. 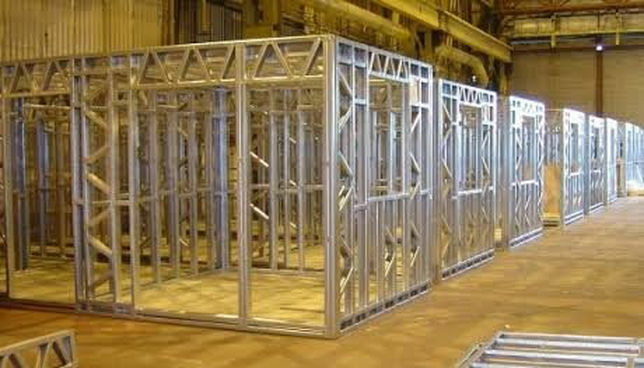 Determine those facilities that are local to the job site and which are capable of providing the prefabricated or modular components you need. Note their distances too, as high transport costs can significantly erode the potential benefits. Lastly, labor. This is an area that has been difficult to properly evaluate because most construction schools do not teach how to install and work with prefabricated or modular structures. When evaluating contractors for a project, give priority to those that have this kind of skill and experience. Perhaps the most effective way to get the most out of off-site construction is early planning. Prefabricated and modular components require detailed decisions early in the design-phase, such as fixtures and paint colors, that can overwhelm a project team. Starting these discussions early in the planning process is critical in order to avoid schedule interruptions later on. The majority of architects do not know how to accommodate off-site construction because it was too new to be part of their training. Even their design software (known as CAD) can be too inflexible to support this relatively new concept. As more projects demand off-site components, more firms will adapt to meet the demand. In the interim, experience in modular construction should be part of your criteria when evaluating architectural firms.